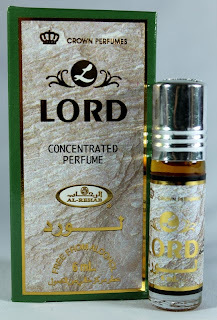 Don't worry, not all of Al-Rehab's perfumes are knockoffs, but I particularly wanted to review Lord because it's a replica of one of my favorite power scents, Lapidus Pour Homme. It's not horrible, but so far it's the most disappointing of the Al-Rehab knockoffs I've tried. It starts off incredibly good and brutally strong, just like the original - the blend of artemisia, pineapple and patchouli practically kills on contact. Things unfortunately fall apart after about an hour, when the drydown starts to kick in. Whereas in Lapidus Pour Homme the dark, dusty drydown is the best part of the scent, in Lord it's the downfall. There is an overload of tonka bean in the base, giving it an irritating chalky smell and making it almost sickeningly sweet. All I can think of is cake with powdered sugar when I wear this. It smells spare, poorly blended and cheap, and I don't like it at all. It never evolves into anything more than this sugar vibe for the remainder of its duration, so hanging in there for the long haul won't improve things. I also find that, except for the opening, Lord is a lot less powerful than Lapidus Pour Homme. 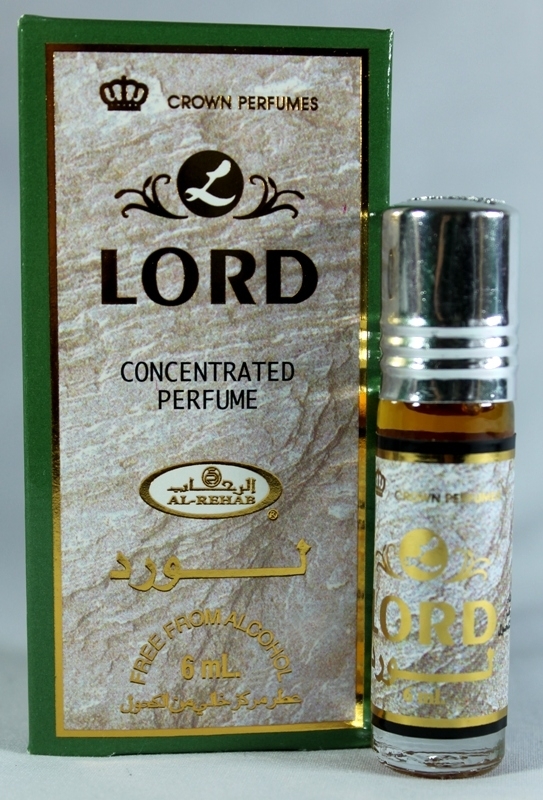 I can't say that Lord is terrible, but it's nowhere near as good as Lapidus Pour Homme. It's nothing I'm likely to wear again, so Lord will be collecting dust on the top of my dresser. I don't want to smell like cake or cookies. Oh dear....sorry shamu. I feel responsible for this but the description you've given is NOTHING like the bottle I've got. I wore it two days ago and it lasted right through my morning shower the next morning - I couldn't get rid of it!! As for the smell mine is pretty linear and smells pretty much identical to Lapidus PH from start to finish. Hope this didn't cost you too much! Nah, it only cost me 3 bucks, no sweat. Unfortunately my review really does describe what my bottle smells like. I've worn this three times now, hoping I missed the boat before, but every time it smells the same to me. If opening lasted the entire duration of the scent, I'd give this a perfect score.